Chestnut Place is proving to be a homebuying hotspot for those looking for new homes in Kent, offering spacious family accommodation, a convenient location and high quality design and build, less than 21 miles from Canterbury and Maidstone, and also within easy reach of London. The four-bedroom properties at Chestnut Place boast good sized rooms and gardens, and come with a full specification of fixtures and fittings, including kitchens complete with cooker, hob, dishwasher and washing machine, and luxury bathrooms of stylish white sanitary ware. With London prices continuing to rise, Chestnut Place offers superb value for money as well as quality with Caron Hutchins, Area Sales Manager at Bovis Homes, saying: "With rising prices forcing more and more people out of the London property market, it is understandable that homes in the quieter and more affordable suburbs are experiencing an increase in demand. "The homes at Chestnut Place are designed, built and finished to the highest standards, giving residents more for their money and proving popular with young professionals and families alike." Ashford and the surrounding area offer a semi-rural environment but close to the urban hubs. Residents can enjoy riverside walks along the East Stour, or enjoy the refreshing sea air approximately 12 miles away at Hythe. There are plenty of options for day trips, including Leeds Castle, Howletts Wild Animal Park and the historic town of Hastings, all of which are less than an hour's drive away. Residents at Chestnut Place benefit from strong transport connections, making the development an ideal location for busy commuters. Ashford International train station offers direct train services into Maidstone of approximately 25 minutes, and via High Speed Rail to London St Pancras of less than 40 minutes. Paris and Brussels are also accessible via the Eurostar. The area boasts good road access, with the M20 less than a mile away, and regular bus services run throughout the region. 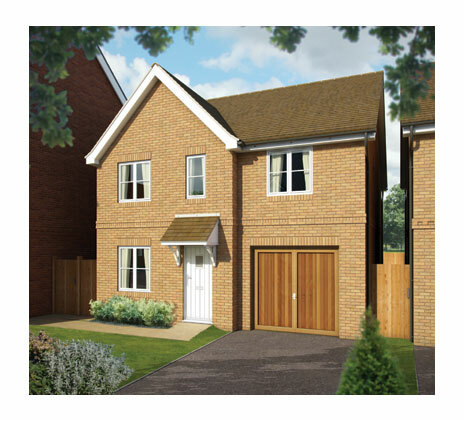 Prices at Chestnut Place currently start at £264,950 for a four-bedroom detached house. For further information on please call Bovis Homes on 01233 638 227.